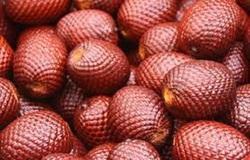 Muira puama is a small Brazilian tree that grows across the Amazon river basin. 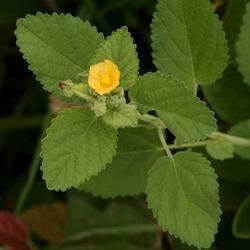 It has a long history of use in Brazilian folk medicine as an . Cat’s Claw is a tropical vine that grows in rainforest and jungle areas in South America and Asia. Some cultures refer to the plant as the “Sacred Herb of the Rain Forest”. This vine gets its name from the small thorns at the base of the leaves, which looks like a cat’s claw. These claws enable the vine to attach itself around trees climbing to a height up to 100 feet. Functions of nti-oxidant, detoxication and anti-inflammation.Functions to promote healthy blood pressure levels, slow the heart rate, relax and dilateperipheral blood vessels,lower blood cholesterol levels, restrict platelet aggregation(clotting), and help prevent heart problems and arteriosclerosis. UTI protection, Prevent and treat urinary tract infections. Relax and open blood vessels. 1.Dietary supplements, Skin-Whitening products, Cosmetic etc. 2.L-Glutathione Reduced is widely used in Pharmaceuticals, Nutraceuticals, Health functional foods. The regular dosage form: Lyophilized Powder for Injection,Tablets, Capsules, Eye drops etc. 3.Improve immunity: enhance immune cells function effectively prevent viruses. Through its active component Piperine, Black Pepper is able to modify supplement and drug metabolism. A process in the liver called glucuronidation, which attaches a molecule (glucuronide) to drugs to signal for their urinary excretion, is inhibited with piperine. In China, the traditional Chinese medicine approach is used in formulating naturalherbal teas and they are very popular in enhancing health and addressing core issues within the body; e.g. formulated recipes like hawthorn plus oolong / pu-er areused to address the high fat level in the bloodstream. The leaves of Gymnema sylvestre (family: Asclepiadaceae) is used in making of the extract Gymnemagenin, the main sapogenin in the leaves, yields gymnemic acids which is a chemically complex mixture of saponins and gurmarin, a polypeptide of 35 amino acids. Gymnemic acids are anti-sweet principles that shows inhibitory effect on plasma glucose. The extract of dried leaves, given to diabetic rats, was found to bring about blood glucose homoeostasis by increasing serum insulin levels. 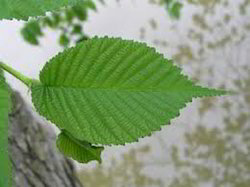 The leaf extract when orally administered to experimentally induced hyperlipidaemic rats reduced the elevated serum triglyceride and total cholesterol in a dose-dependent manner A blood sugar lowering effect in both normal and diabetic subjects has also been reported with the use of Gymnema sylvestre extract. Native to southern Africa, devil's claw (Harpagophytum procumbens) gets its name from the tiny hooks that cover its fruit. Historically, devil's claw has been used to treat pain, liver and kidney problems, fever, and malaria. Native to southern Africa, devil's claw (Harpagophytum procumbens) gets its name from the tiny hooks that cover its fruit. Historically, devil's claw has been used to treat pain, liver and kidney problems, fever, and malaria. 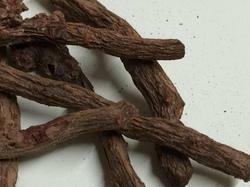 It has also been used in ointments to heal sores, boils, and other skin problems. Devil's claw was introduced to Europe in the early 1900s, where the dried roots have been used to restore appetite, relieve heartburn, and reduce pain and inflammation. Today, devil's claw is used widely in Germany and France to fight inflammation or relieve arthritis pain, headache, and low back pain. Animal and test tube studies suggest that devil's claw can help fight inflammation. Devil's claw does not have an odor, but it contains substances that make it taste bitter. 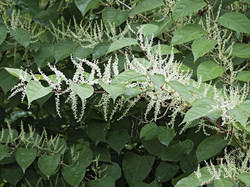 It is a leafy perennial with branching roots and shoots. It has secondary roots, called tubers, that grow out of the main roots. The roots and tubers are used as medicine. FunctionIncrease blood flow and blood vessel elasticity. 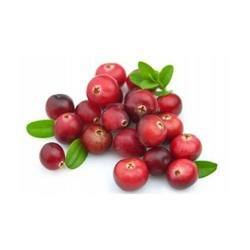 Anti-oxidant and anti-aging. Good for heart,liver,kidney and other organs of human body. Increase ability. 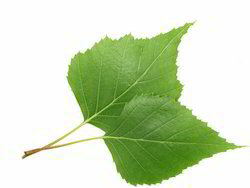 Useful Parts – Root barks (fresh) and leaves. Common Uses– Chitraka possesses invasive properties such as laxative, expectorant and astringent. These properties are used to cure disorders and diseases such as constipation, body pains, headaches, fever, rhinitis, cough, inflammation, hemorrhoids, etc. 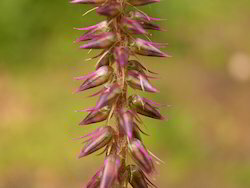 The plant is also believed to possess contraceptive properties. In India, it is also used as a leafy vegetable. Indications – Oedema, intestinal worms, haemorrhoids, duodenal disorders, weight gain, loss of taste, skin disorder, and cough. Morphology Description (Habit)An erect, glabrous or minutely pubescent, branched annual. The stems are striate; the leaves are rather distant, 2-3-pinnately divided, the segments linear. 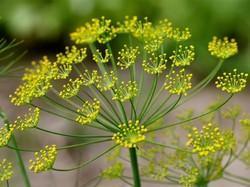 The flowers occur in terminal or seemingly-lateral pedunculate, compound umbels, white and small; the fruits are ovoid, muricate, aromatic cremocarps, greyish brown; the mericarps, which are the components of the fruit, are compressed, with distinct ridges and tubercular surface, 1-seeded. 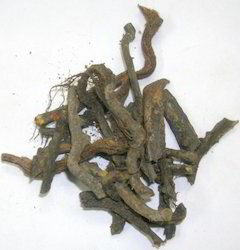 Principal ConstituentsThe alcoholic extract was found to contain a highly hygroscopic saponin, with a hemolytic index of 500. A yellow, crystalline flavone (m.p. 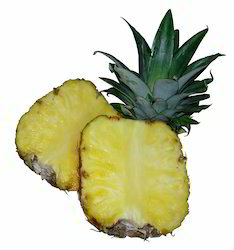 291-94°) and a steroidal substance (m.p.140-50°) have also been isolated from the fruits1. The principal constituents of the essential oil from the fruits are the phenols, mainly thymol and some carvacrol. The Indian Pharmacopoeia requires ajowan oil to contain not less than 40 per cent thymol. The remainder of the oil is called 'thymene'. Thymene, which constitutes c.45 per cent of the oil, has the following composition: p-cymene, 50-55; g-terpinene, 30-35; a- and ß-pinenes, 4-5; and dipentene, 4-6%. Presence of minute 'amounts of camphene, myrcene and D3-carene is also reported2. Apium graveolens, the botanical name of Ajamoda. This is also known as celery. It is annual or bionomical herbaceous plant. It is known to be the native of Mediterranean regions like Asia, Africa and Europe. It grows up to the height of 60 to 90 cm. the root system is of tap root system. Wild plants grow with fragrance and pinnately divided leaves. In other form, biennial form, plants have a basal rosette of leaves in primary years, later near summers, it florates in off white flowers in umbels. Umbels are with property of inflorescence. 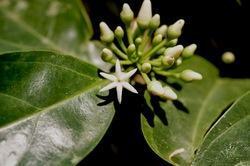 The flowers of the plants are so small with five petals of ovule shape with in floured tips. The carpals of the flower are in semi trade sub pentagonal and filiform. The primary ridges of the carpals are very much distinct. 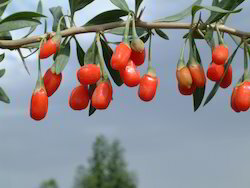 The fruit of the plant is schizocarp (a dry fruit when ripe, splits into single seeded parts). These fruits are aromatic, 1 to 2 mm in diameter, with two mericarps, sub orbicular and ellipsoid. The colour of the flowers are greyish brown. There is cross pollination found in this plant. Ajamoda is ancestor of two different kinds of crops. Apium graveolens, which grow for its crisp edible leaf stalks and leaves. Another one is ajamoda roots, grow for the edible, turnip like enlarged roots. This plant has antispasmodic diuretic anthelmintic , emmenagogue, laxative, toxic carminative and stimulant properties. It possess anti-inflammatory properties that reduces the swelling and pain of the joints. It shows Antifungal activity against Shigella dysenteries, Salmonella typhi, Staphylococcus aureus Staphylococcus album, Maintains blood pressure and cholesterol in normal state. 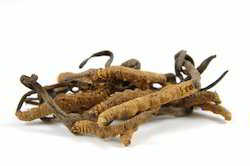 Roots are diuretic in nature, helps in hypertension and urinary disorders. It is very helpful in case of hysteria as enhances restfulness and sleep. 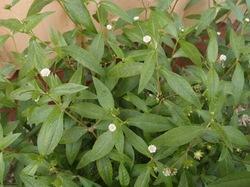 This plant is used in treating rheumatism and kidney problems. 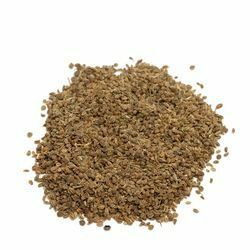 Celery seeds are famous to treat diseases like bronchitis, asthma, liver, and spleen diseases. The roots and the ripe seeds are known for galactogogue, diuretic, nervine stimulant and emmenagogue properties. It promotes menstruation. These have anti-cancer properties due to anti-cancer chemicals like polyacetylens and phthalide. These can detoxify carcinogens present in cigarette. It helps to prevent swelling in the body. Also known as Hing, this is a crucial ingredient in Indian vegetarian cooking. Derived from a species of giant fennel, asafoetida has a unique smell and flavor, unpleasantly strong while raw but mellow and garlicky when cooked. Maitake is a precious fungus as food and medicine. Recently it is popular in American and Japanese market as a kind of excellent health caring food, and its unique nutrition and medical value attracts ever wider attention. Maitake polysaccharide has anticancer and anti-HIV function and can adjust immune and incretion and nutrition metabolizing. It is also good in curing hepatitis. Mushrooms are a flavorful and nutritious food group. Good sources of B-Vitamins: Thiamine, Riboflavin and Niacin. They contain all the essential amino acids. Mushrooms have also been used for thousands of years as some of the most effective, yet benign, of many plants that formed the oriental herbal tradition. Garuda International offers more than ten species of the highest quality mushroom extract powders available in the world today. Some are certified organically grown and some have standardized levels of active compounds. 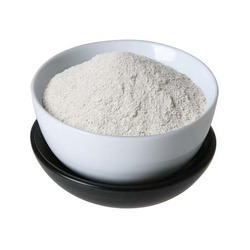 These are perfect powdered materials for formulating immune system boosting dietary supplements and natural cosmetics. Maitake mushroom (Grifola frondosa) grows wild in the northeastern part of Japan. For hundreds of years, this rare and exquisite tasting mushroom has been prized in traditional Japanese herbology. Historically, herbalists exchanged maitake for the same weight of silver. Renowned for its many health benefits and delicious taste, maitake is referred to as the Dancing Mushroom. People who found it in the mountains knew of its health benefits and began dancing with joy. Maitake is now being cultivated thereby insuring a steady supply for the first time ever. 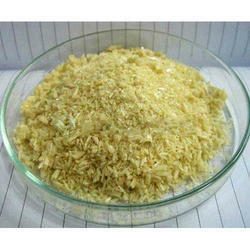 Application: Medicine, food additive, dietary supplement. Dandelion extract is also used in the early stages of liver cirrhosis such as alcoholic cirrhosis. 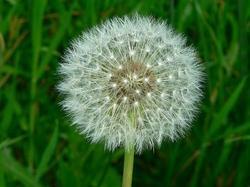 Dandelion extract stimulates bile production, and helps the body get rid of excess water produced by the diseased liver. Dandelion extract successfully treats hepatitis, liver swelling, jaundice and indigestion in those with inadequate bile secretion. Dandelion extract, flavonoids can double the flow of bile. This is critical in the process of toxin elimination, because bile flow is a natural secretion essential to transporting toxins from the liver to the intestines, where they are shuttled out of the body. Extract of dandelion leaves is a powerful diuretic. Unlike many conventional diuretics, dandelion leaves do not leach potassium from the body. Apple cider vinegar is the fermented juice of crushed apples. It contains acetic acid and nutrients such as B vitamins and vitamin C. Apple cider vinegar might help lower blood sugar levels in people with diabetes by changing how foods get absorbed from the gut. 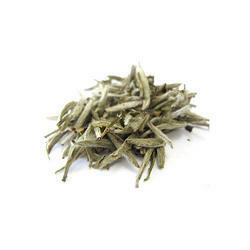 As a recognized name in the industry, we are offering an excellent range of Java Tea Extract. Our seasoned professionals help us process the offered range. Moreover, Processing of the offered range is carried out under extremely hygienic conditions utilizing naturally found herbs and contemporary processing methods. Furthermore, the offered range is hygienically packed in temper-proof packaging material so as to retain its freshness. 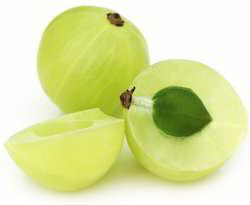 We have gained a remarkable position in the relevant industry by offering a distinguished collection of Amla Extract. The offered range is widely used in medical, cosmetics and food industries for versatility. The offered range is extensively popular in the market for its ability to cure various diseases and formulate various cosmetic products. While processing the offered range, we lay special emphasis on its overall quality and effectiveness. Additionally, the offered range is tested by our experienced professionals. 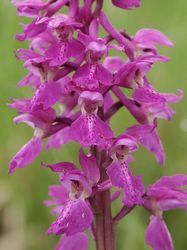 We are dedicatedly engaged in offering commendable collection of Orchis Mascula Extract. Our offered range is processed at our well-equipped processing unit utilizing contemporary equipment and appropriate ingredients in compliance with globally accepted standards. Additionally, the offered range is packed under extreme hygienic condition, using temper-proof packaging material so as to maintain its freshness and effectiveness. 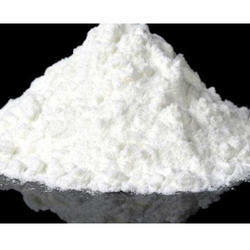 The entire range is widely demanded across the industries for its variegated properties like purity and enhanced shelf life. Appearance:Brown powder Slightly special flavor. 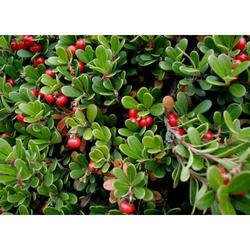 As a traditional medicine or dietary supplement, berberine has shown some activity against fungal infections, Candida albicans, yeast, parasites, and bacterial/viral infections. Berberine seems to exert synergistic effects with fluconazole even in drug-resistant C. albicans infections. 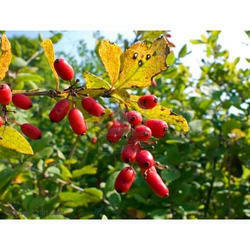 Berberine is considered antibiotic. When applied in vitro and in combination with methoxyhydnocarpin, an inhibitor of multidrug resistance pumps, berberine inhibits growth of Staphylococcus aureus and Microcystis aeruginosa a toxic cyanobacterium. Package: 25kg/drum or as your requirements. Manjistha (Rubia cordifolia), also know as Indian madder, is an ayurvedic tonic herb that has been prized for centuries for its long list of benefits and uses. 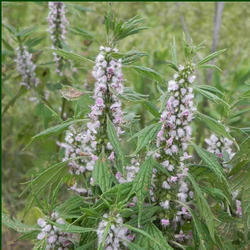 This bitter, astringent herb was traditionally used and valued for it extreme effectiveness in cleansing and purifying the blood, liver, and lymphatic system. But it doesn’t end there. 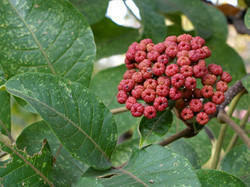 Manjistha is a potent antioxidant, anti-inflammatory and anti-microbial. It has been used as a muscle relaxant; to ease stress, anxiety and depression; heal bruises and reduce arthritic pain and swelling; and relieve digestive issues, allergies and skin-related issues, such as acne. It enhances circulation, helps to process and remove toxins from the body, and has even been used to dissolve tumors. Overall it is a powerful immune stimulant that deserves a place in your herbal medicine cabinet! 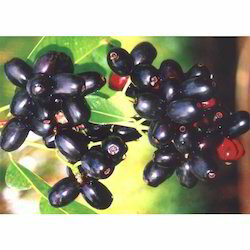 Cissus quadrangularis is a type of plant that is a part of the grape family. It is sometimes referred to as Veldt Grape, Devil's Backbone, Asthisamharaka and Hadjod. 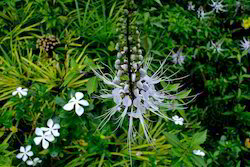 Most sources suggest that the plant is native to Sri Lanka or India, but it can also be found in Southeast Asia, Africa and Arabia. Many people take the extract from cissus quadrangularis in the form of a supplement because it has many benefits. 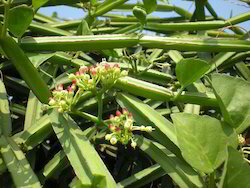 Below are some of the benefits of taking cissus quadrangularis extract: Help heal broken bones Cissus quadrangularis is known for its ability to help broken bones heal faster. There was a study done on two groups of dogs that proved the healing effects of cissus quadrangularis. One of the groups was given cissus quadrangularis extract while the other group was given a placebo. The results of the study were that the dogs that were given the cissus quadrangularis extract were completely healed after 21 days. The dogs that were given a placebo were still unhealed after 21 days. A similar finding was shown in rats. Rats who were given cissus quadrangularis healed 50 percent faster. Researchers believe that cissus quadrangularis helps increase the uptake of calcium. Calcium is one of the key nutrients that increases bone strength. There has also been evidence to suggest that taking cissus quadrangularis everyday can reduce a person’s risk of fracturing a bone by up to 40 percent. Effect on Tridosha – Balances Kapha and Vata Dosha. Dosage- fresh juice – 5 – 10 ml in divided dose per day. Kshara 0.5-2 g – in divided dose per day. Pachana, Amaghna – Relieves ama – a product of indigestion and altered metabolism. Hrut Grahi, Vantikrut, Vaamana – in excess dose may cause nausea and vomiting. Anilapaha – relieves bloating, balances Vata Dosha. Shulahara – relieves abdominal colic pain. Apachihara – useful in fibroids, glandular growths. The plant is an excellent diuretic. Hence useful in dysuria, urinary retention, water retention and urinary stones. Artemisia vulgaris – mugwort is a potential anti cancer herb of Ayurveda, used for the treatment of skin diseases, constipation, diseases of the liver, diseases of the neuro muscular condition (vataja roga) and respiratory diseases. It is called Damanaka in Sanskrit. is one of the alkaloids present, which has fat-burning properties. 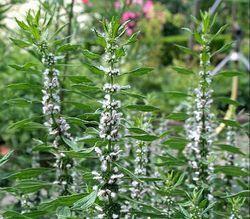 The herb also contains phytosterol and potassium nitrate. Country Mallow is known to stimulate organs and enhance the male libido. influence the secretion of catecholamines from the adrenal glands. Evodiamine stimulates the vanilloids to reduce the uptake of fat and increase the natural rate of burning fat. Recent scientific studies have backed up this traditional knowledge. Mammals fed a high-fat diet plus evodiamine actually lose, rather than gain weight. This herbal extract is a mild, yet remarkable stimulant that has shown positive energy and diuretic characteristics. Even more exciting is its unique ability to significantly elevate the production of body heat and increase resting core temperature. This thermogenic effect may lead to an increase in the calories and fat that are burned for energy. Evodiamine could be one of the biggest breakthroughs in thermogenesis to date. Herbo Nutra, the best Olive Leaf Extract producer. We are manufacturer and supplier of herb extracts. Best quality and service are always offered! [Product Resource]: Extract from the leaf of Olive. Olive Leaf Extract is used in eliminating viruses. 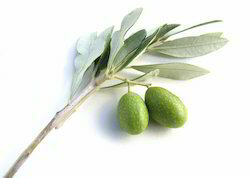 Olive Leaf Extract can prevent the hardening of the arteries.3. As a important medical role, It can be used to lower blood pressure.4. As an effective antioxidant, It can prevent hardening of the arteries.5. 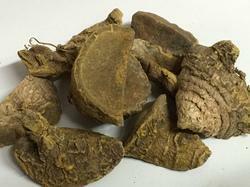 It can increase blood flow in the coronary arteries,relieve arrhythmias.6. In enhancing immunity and improving the autoimmune disorder, Olive Leaf Extract plays an important role. Looking for Pure Herbal Extracts ?